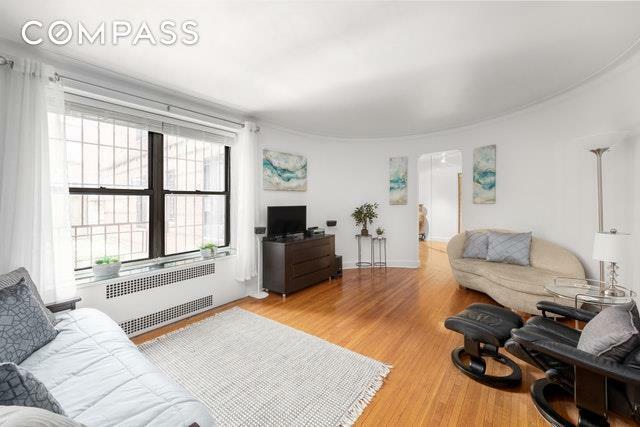 The Picture of Charm in the West Village. 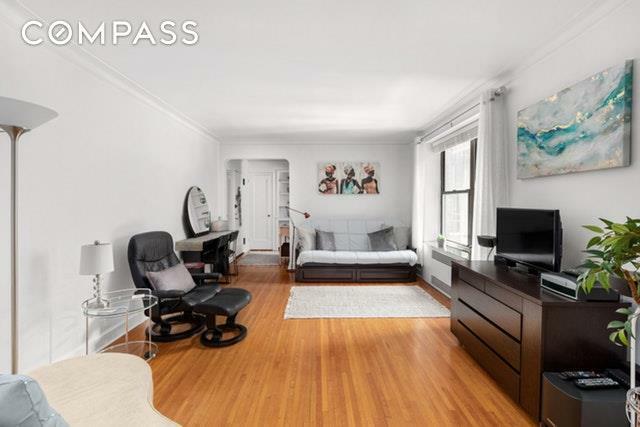 This attractive, pre-war studio is remarkably spacious and notably well-appointed. The warm, inviting eat-in kitchen is far larger than many 1 and 2 bed apartments - a place you'll love whipping up something wonderful or just relaxing with a cup of coffee in the morning. 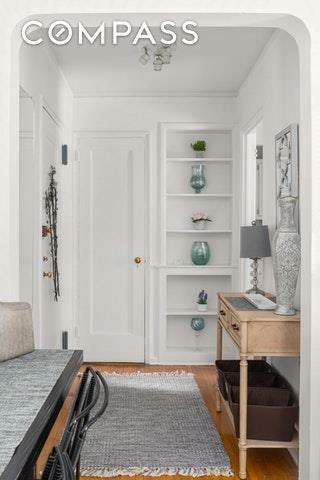 An arched entryway leads into a pristine and handsome living room featuring original hardwood floors and accented with pre-war touches including beautiful molding and windows looking out on the building's garden plot. Generous closets and a deftly detailed bathroom with an oversize shower complete this picture of a Greenwich Village treasure. 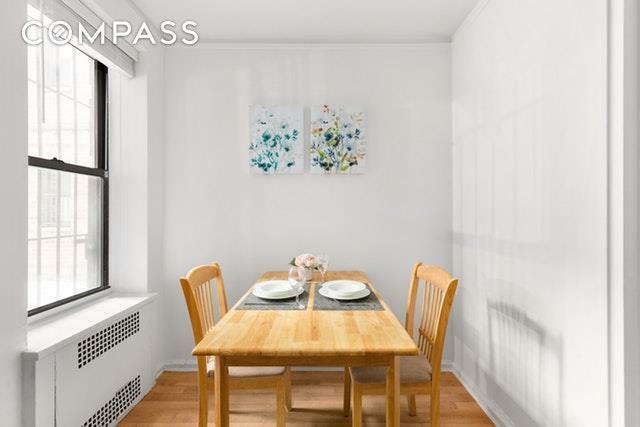 Located close to shops, dining and all the Village has to offer, and nearby both the West 4th and Christopher Street subway stations. Live-in super, and pets are welcome! Listing courtesy of Libby Collins of Compass.